At CableWholesale, we strive to offer a number of different options when it comes to our keystone products. 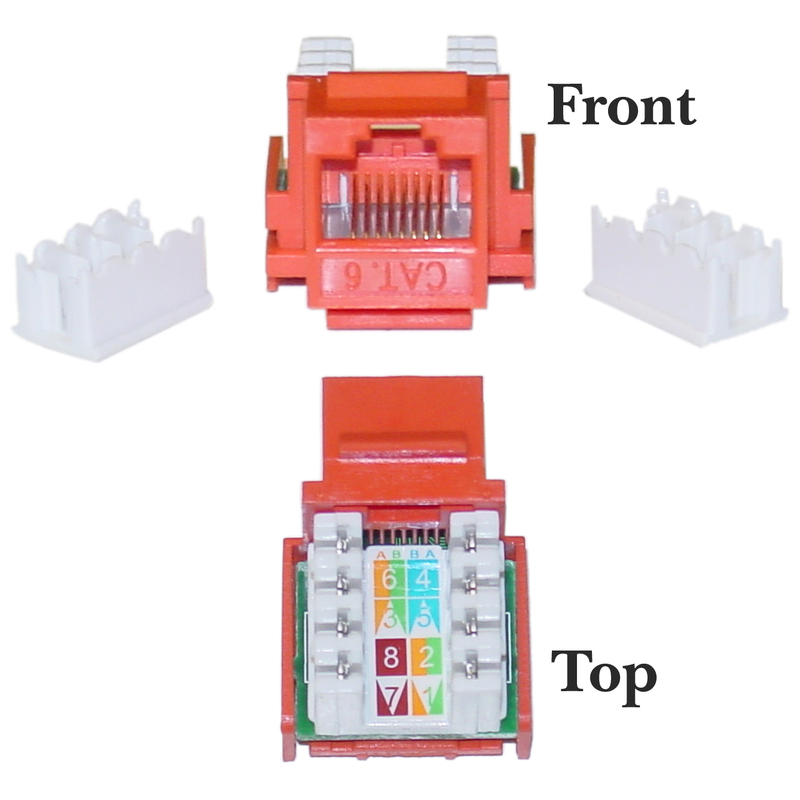 If you are in need of a keystone for RJ45 female to 110 punch down connections, you can rely on our Orange Cat6 Keystone. This versatile product works well in any type of room, and it even offers a completely toolless installation process. In addition, this will work well with our keystone mount boxes, panels, and wall plates, and it is compatible with ATM and gigabit speed products as well. From its gold connectors to pure copper conductors, this is an all-around excellent product that actually exceeds EIA/TIA-568-C standards. If you would like more information about this Orange Cat6 Keystone for networking and phone lines, please contact the team at CableWholesale today! Easy to populate. Both wiring schemes are displayed on the jack.